If you’re keeping track, that means we were dating for eight years before we got married. If you’re wondering what took me so long to pop the question, you’ve got to know that I’m not the brightest crayon in the box. We had such a great time on Saturday, I don’t think there is any way that I could fit all of the awesomeness into one post. 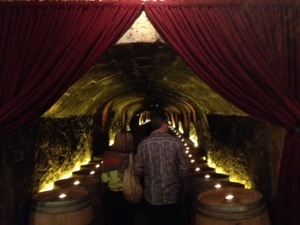 Our first stop on Saturday was the Del Dotto Historic Winery and Caves on Atlas Peak Road in Napa. Once inside the tasting room, it’s easy to see that this is a classy joint. 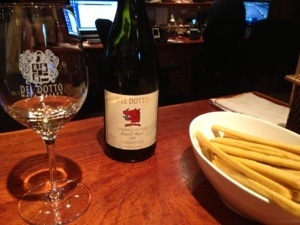 Upon check-in, we were served a tasty pour of the Del Dotto 2010 Cinghiale Vineyard Chardonnay. Class in a glass. Our host explained to us at the beginning of our tour that Del Dotto likes to focus not just on showcasing the vineyards which grow the wines, but also the oak in which the wine was aged. 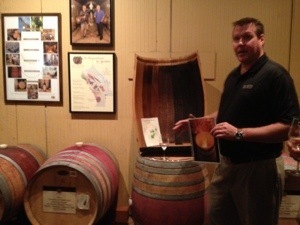 Here he is showing off the different toast levels of a wine barrel. 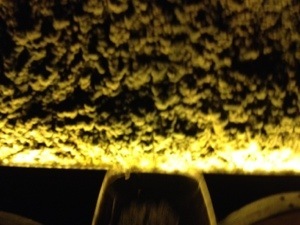 Next, we took a stroll into the cave to do some barrel tasting. Our host did a great job of showcasing the types of wines that were popular among members of the tour. 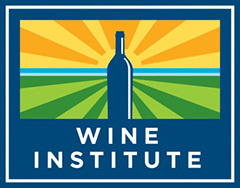 We mainly focussed on Cabernet Sauvignon in both American and French Oak barrels. The Wine Thief. I’ve gotta get me one of those. 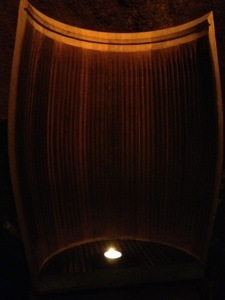 Here’s a cool looking oak barrel with hecka grooves carved in to add more layers of flavor to the wine. Our hoast called this one a “barrel on steroids”. 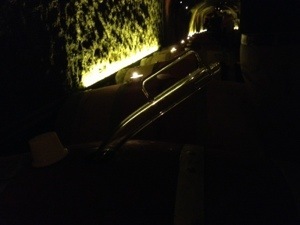 The wine was fantastic, but the highlight has to be the fact that you get to throw your wine up against the wall of the cave when you’re done. Hey wall. Meet my wine. 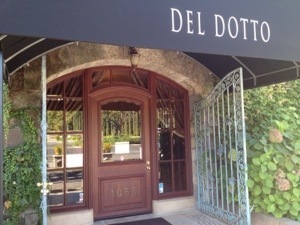 The Del Dotto tour is one of the funnest, and most informative, tours I’ve ever experienced in Napa. This was definitely a great way to start the day. You’ve gotta visit the cave, man. Be sure to tune in to the next installment of Napa Fun Time, when Jeff and Kara visit the tasting room of Cornerstone Cellars in downtown Yountville.